1. Terms and Conditions concerning the Website and Service under the name of “ELOBOOSTLEAGUE” by “PvPFox OÜ”, https://eloboostleague.com/. 1.1. Please be aware and make sure you read every terms and conditions and accept them before you use our service, these terms and conditions states all the legal rules and functions of the service you need to know. This being said You, our Buyer, accept that by using our service you are aware of all the terms and conditions and that You are fully aware of all the content on this document before purchasing our Service. 1.1.2. PvPFox OÜ (hereinafter referred to as PVPFOX) is an online service for the buyers (hereinafter referred to as Buyers) of virtual services in connection with online games. Through it’s platform eloboostleague.com, PVPFOX provides virtual services for Buyers. For this service, the Buyer must pay PVPFOX a fee in the form of listed commission. 1.1.4. The content on this site and all extensions of this site is shown as is and without a warranty of any kind either expressed or implied. To the fullest extent allowed in regards to the law, PVPFOX, reject all warranties implies or expressed, including but not limited to, implied warranties of merchantability and fitness for particular purpose. In relation to all services, PVPFOX is only providing a service to the Buyer; no goods, property, or any extension of a physical product are being sold by PVPFOX. PVPFOX, makes no claim to the title regarding any of the unauthorized intellectual property and are simply acting as a third-party transferee of the property among the unauthorized and the Buyer; once the payment is received by PVPFOX, and the promised services are completed by the aforementioned, the Buyer will take PVPFOX’s place as a user of unauthorized intellectual property to the limit allowed by the unauthorized. At the end of any transaction between the Buyer and PVPFOX, the Buyer will assume that PVPFOX, functions merely as a licensee of the unauthorized to use its intellectual property and grants PVPFOX, indemnity from the entire business dealing. PVPFOX, claims no title to any intellectual property interests held by the unauthorized nor the Buyer; and except those, if any, granted by the unauthorized, no intellectual properties are being transferred to the Buyer by PVPFOX, from any transaction. 1.1.5. PVPFOX, reserves the right to change or alter any site conditions, terms, or policies with or without any present or prior notification to the Buyers, members, and visitors to https://eloboostleague.com/ as well as our respective extensions. It is the sole responsibility of the aforementioned to pay close attention to any alterations, changes, removals or additions to the clauses and rules written in the terms and conditions. By purchasing any service that PVPFOX, offers on eloboostleague.com/ or outside of it, you are automatically agreeing to the terms and conditions as a whole. 1.1.6 PVPFOX is in no way affiliated with, associated with or endorsed by Riot Games, Inc.
1.1.7 Some of the content available on eloboostleague.com/ is provided by PVPFOX and some by third parties. PVPFOX does not check that third-party content is complete, accurate or legal, and therefore accepts no responsibility for said third-party content. 2.1.1 If you wish to purchase any product or service made available through the Service (“Purchase”), you may be asked to supply certain information relevant to your Purchase. 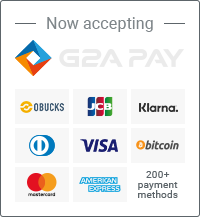 2.1.2 Standard payment method for PVPFOX is PayPal . PVPFOX reserves the right to refuse to accept certain payment methods or accept/demand other payment methods than those listed. 2.1.3 You represent and warrant that: (i) you have the legal right to use any other payment method(s) in connection with any Purchase; and that (ii) the information you supply to us is true, correct and complete. 2.1.4 By submitting such information, you grant us the right to provide the information to third parties for purposes of facilitating the completion of Purchases. 2.1.5 We reserve the right to refuse or cancel your order at any time for certain reasons including but not limited to: product or service availability, errors in the description or price of the product or service, error in your order or other reasons. 2.1.6 We reserve the right to refuse or cancel your order if fraud or an unauthorised or illegal transaction is suspected. 2.1.7 A Buyer’s account is automatically created once a purchase has been made which login information will be delivered to the Buyer’s email. Registration is free. 2.2.1 For Tier Boosting, Boosting packs and Duo Boost services the order is considered completed when Buyer’s account hits desired position. Open databases like lolking.net and op.gg can be used as equal evidence. 2.2.2 For Pay per win, Placement Matches and Normal draft servics the order is considered completed when Buyer’s account hits desired amount of net wins. In this case, evidence of order completion will be screenshot of the end game lobby of the final game. 3.1.1 Due to the nature of PVPFOX products (non-tangible digital goods), it is not possible to “return” the product therefore we DO NOT offer refund after your order is already done or has reached 75% completion. 4.1.1. PVPFOX is not associated with Riot Games, Inc or any unauthorized entity in any way, shape, or form. PVPFOX, warns any Buyer or potential Buyer to refrain from violating, infringing, or making any illegal action in regards the intellectual property rights of Riot Games, Inc or any unauthorized entity. 4.1.2. By entering our website, or any extension of this site, or our Facebook page, social media or any forum related to our service, and looking at any content within the site(s), Forum(s) or information concerning PVPFOX, you declare under penalty of perjury and under the laws of any country under the Europe Union Laws, that you are not employed or affiliated with Riot Games, Inc and their respective affiliates and subsidiaries. 4.1.3. By using our or any Service included under PVPFOX, You, Buyer accept and known all the legal rights, and that You, Buyer, are aware that by purchasing any Service under the PVPFOX, services you known what you are paying for, and that the Service you are paying for matches your in-Game information. 4.1.4. You, Buyer accept that and if PVPFOX, is aware of the amount of wins/LP you purchase does not match the exact division you currently have under your Summoner Name or account name, You, Buyer accept and authorize the Service to be done to the real division you are in. 4.1.5. You, Buyer accept that by buying our Service you are aware that you cannot dispute any purchase with PVPFOX after the Service is done or the service has been partially completed, and that you as a Buyer cannot violate the rules of ChargeBacks stipulated in any payment method provided by PVPFOX. 4.1.6. You, Buyer accept that by buying our Service and by the time the Service ends if You, Buyer claim the purchase money back, that there will be Consequences referring to the Law stated under any Europe Union Country, and that you accept any penalty that PVPFOX may apply to you. 4.1.7. You, Buyer accept that losing LP Points due to your log ins goes on your responsibility even dropping from promotion series due to mentioned reason, and that the boosters Reserve the right to change your masteries and runes, and that You, Buyer accept that booster may use Influence Points you may have and the ones they may win in their pursuit to complete the Service as well as buying Champions and Runes. 4.1.8 You, the Buyer, accept that if you play any ranked games while having bought a division or a tier boost from us, we reserve the right to stop the service and announce the boost as complete, with no refunds offered. 4.1.9 When purchasing an order you are eligible for a refund within 48 hours of it’s purchase, this applies if the a booster did not start working in your account within the giving time. You can request this refund directly through email, eloboostleaguecom@gmail.com or Live Customer Support. 4.1.10 Orders that were not completed within the giving season duration. In the giving case of a booster proceeding to start it but not being able to finish it within season time, we will issue a partial refund, accordingly. 4.2.1. Buyers Reserve the right to watch and spectate any game during the process and ask any doubts to his/her Booster or directly to PVPFOX Contacts. 4.2.2. Buyers Reserve the right when applying to a Duo queue Service or a Coaching Service the privilege of specific language to communicate while applying the Service, taking in consideration our available languages. 4.2.3. Buyers Reserve the right to purchase the Service of Elo Boost, League Boost, Duo Queue’s, Boosting packs, Pay-per-win, Placement matches, Normal Wins and Coaching held by PVPFOX, consisting in the rise of the amount of elo, the number of duos queues or the number of hours to coach selected under the BattleTag or account Name that Buyer provided in the Web Form that PVPFOX, gives before the payment is done, if and only after reading the terms and conditions the Buyer is qualified to apply to the service. 5.1.1 You have to be polite during your games on Buyer account. Causing ranked restriction or ban on Buyer’s account will lead to a cash penalty or even your PVPFOX account suspension. 5.1.2 You should avoid using any 3rd party programs like hacks, scripts or even apps like curse voice which may lead to suspension of Buyer account. 5.1.3 You have to start working on an order in 30 mins after you claim it. You can’t take orders for the evening or for the next day. 5.1.4 You have to complete order before date specified in order info. You should play at least 8-10 games every 24 hours since the moment of order claim. 5.1.5 You have to be polite with Buyer despite his behaviour. 5.1.6 To successfully report order completion you have to upload screenshot of the end game lobby of your last game. 5.1.7 You have to be online on website when you are playing on the Buyers account. 5.2.1 Violation of the Employes duties may lead to return your account on a trial period, cash penalty (with the amount by the administrator’s discretion) or your PVPFOX account suspension. 5.3.1 You have a right to receive a full payout of your PVPFOX available balance not less than once per month (excluding the part which may be delayed due to a trial period). 5.3.2 You have a right to claim any orders that appear in our base (excluding orders what are limited while you are on a trial period). 5.3.3. You have a right to stop working on your current order by a request to the PVPFOX administrator. 5.3.4 You have a right to directly contact us via live chat if you experience any issues during order completion. 6.1.1 When you create an account with us, you must provide us information that is accurate, complete, and current at all times. Failure to do so constitutes a breach of the Terms, which may result in immediate termination of your account on our Service. 6.1.2 You are responsible for safeguarding the password that you use to access the Service and for any activities or actions under your password, whether your password is with our Service or a third-party service. 6.1.3 You agree not to disclose your password to any third party. You must notify us immediately upon becoming aware of any breach of security or unauthorized use of your account. 6.1.4 You may not use as a username the name of another person or entity or that is not lawfully available for use, a name or trade mark that is subject to any rights of another person or entity other than you without appropriate authorization, or a name that is otherwise offensive, vulgar or obscene. 7.1.1 We may terminate or suspend your account immediately, without prior notice or liability, for any reason whatsoever, including without limitation if you breach the Terms. 7.1.2 Upon termination, your right to use the Service will immediately cease. If you wish to terminate your account, you may simply discontinue using the Service. 9.1.1 We reserve the right, at our sole discretion, to modify or replace these Terms at any time. If a revision is material we will try to provide at least 30 days notice prior to any new terms taking effect. What constitutes a material change will be determined at our sole discretion. 9.1.2 By continuing to access or use our Service after those revisions become effective, you agree to be bound by the revised terms. If you do not agree to the new terms, please stop using the Service.